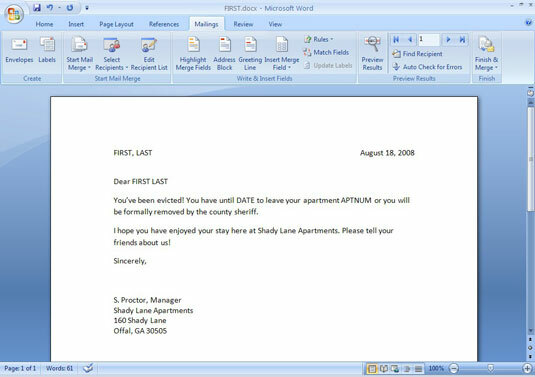 Once you build your main document in Word 2007, you need to assign fields to perform a mail merge. You should now have a good idea of what type and how many fields you need. Each field will be collected into a group called a record. Each record, representing a different document to be produced by the mail merge, is what comprises the address list. But it’s the fields that make the mail-merged document appear customized. Write down the fields you need. Click the Select Recipients button. Type New List: Select this option to build a new list, as in this example. Select from Outlook Contacts: Select this option if your PC is on a network with the proper kind of Microsoft Server software installed. First, you need to customize the fields shown in this dialog box, by eliminating what you don’t need and adding what you do need. 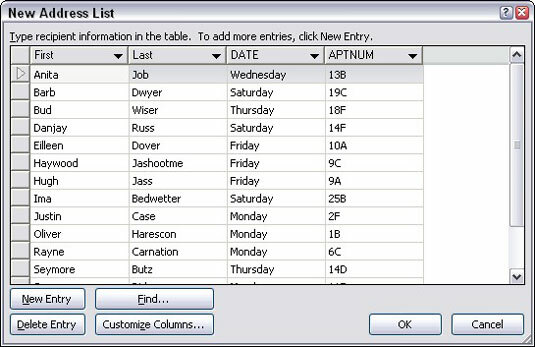 Click the Customize Columns button. 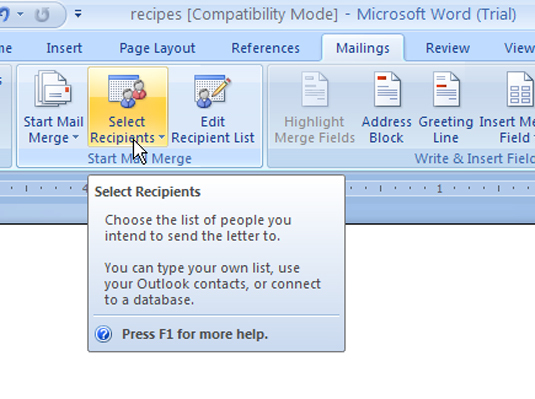 If the list meets your needs, click OK and go to “Word 2007 Mail Merge — Step 3: Building Records.” If not, continue to the next step here. Click a field that you do not need. Repeat Steps 5 through 7 for each field you don’t need. To add a field, click Add. 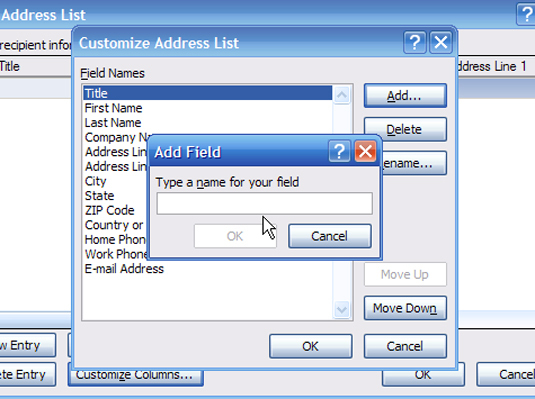 Type the field name and click OK.
Name the field to reflect the kind of information it contains. No two fields can have the same name. Field names can contain spaces, but cannot start with a space. Field names can be quite long, though shorter is best. Repeat Steps 9 and 10 for each new field you need in your main document. 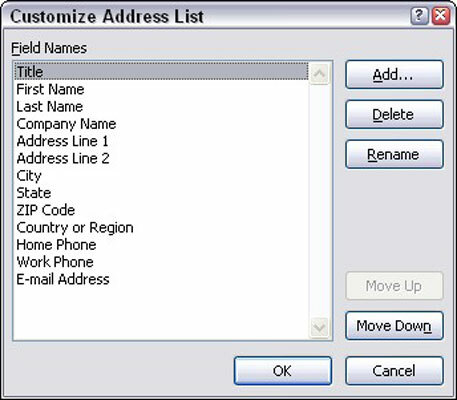 The customized fields appear as column headings in the New Address List dialog box.